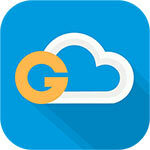 Free Download G Cloud Backup apk for Android. The easiest Android Backup app that secures your contacts, call logs messages, music, videos, family photos, and other personal (irreplaceable) data to secure, cloud-based servers for Free. So you don’t have to ever worry about theft and/or accidental damage (e.g. dropping your phone). 2 simple steps to setup your backup and you are done. G Cloud will automatically backup your data without any intervention. ► Upgrade to unlimited storage for only $1.99/mo.